In the 1980’s the arcades ruled the gaming world, but when Nintendo released its home console, the NES ushered in a new era of gaming. Yes there had been previuos attempts, such as the Atari 2600 and Coleco Vision, but nothing could touch the Nintendo revolution! Here is my top 5 list of games that glued us all to our small TV monitors back in the 80’s! Many believe that the first legend of Zelda is the superior game, I on the other hand feel that the sequel is the better game overall. The graphics were vastly improved, the story telling was better, the game was more playable by the masses, and it was still a gold cartridge with a battery that saved your game, no passwords needed, and back in the day that was huge! I rememeber the night my Grandpa brought this game home and gave it to me, as a january release, christmas had already passed and I thought I would have to wait until June for my birthday to receive this little gem, but no, Grandpa listened to my plea and gave it to me for no reason beyond that he knew how much it meant to me! I still remember the rush of adrenaline I got as I faced off against horse head for the first time, and then the hours upon hours I put into this title following that first boss battle, finding the hammer, locating all the old men with spells, who for some reason always stayed in their basements and giant slimes from above! In my opinion it was this game that truly brought Link to the American public, and for those reasons, it gets number 5 on my list! This is the one that started it all, the first game I ever played that set up the classic turn based RPG that has come to dominate the console world. Final Fantasy 1 set the stage for the series to come that has pushed the limits of what consoles are capable of over the years. I remember being dumbfounded at the setup, I got to choose and name all four party members, then customize what they were going to be, and though the classes were limited, the options to put four thiefs, or four black mages together was astounding! I played this first at my friends house and had to have a copy of my own, I was quickly hooked and RPG’s became my favorite genre. The feeling of accomplishment was so great when I final collected all four orbs in this hefty little game I had to brag around the playground about my fea,t although my party wasn’t four black mages… Finding the canoe, then the airship, being able to openly roam around a huge world, this game had it all, in a time of linear progression FF1 broke every mold! 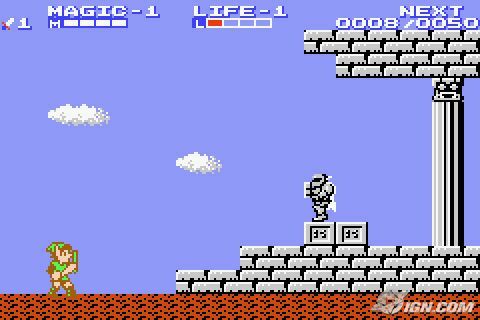 Forget Mr Dream, the 80s was all about Iron Mike and his game was one of the first memories I have of the NES. I still recall my first bout, my friend had brought his copy over to my house, and I suffered a humiliating round 2 loss to Glass Joe! But I recovered and went on all the way to knocking out Iron Mike himself, ok never a KO, but a TKO! I consider this today to be a puzzle game as each unique fighter was a puzzle all their own that required skill, memory, reflex, and timing to figure out. I recall fighting Super Macho Man for days before I figured out how to survive his super whirlwind punches, and the second Bald Bull was no easy task either. Then there was the ultimate challenge, Iron Mike himself with his lightning uppercuts and super fast jabs! Such a joy to behold this game is easily a top three of all time! 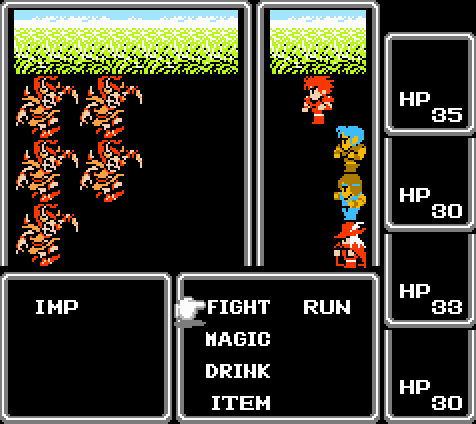 Before Final Fantasy walked into the arena, the original gangsta Dragon Warrior blasted on to the scene. I little backstory for ya, I wanted this game so bad that I threatned my parents that if I didn’t receive this game for christmas I would tell my younger sister and all my cousins that Santa Clause wasn’t real, straight up blackmail! Needless to say I got what I wanted and months of my life were dumped into this little amazing game. I had posters that showed every enemy and how many hit points they had, I had posters of all the weapons and a map of where I could get said weapons, I had town item lists, and all this before the internet, thank you Nintendo power! This game was my first true RPG and it changed the way I looked at games, I will never forget the first time I encountered a Wyvern or a Gold Golem, or a metal slime! 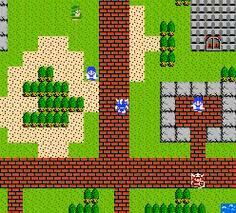 In a time ruled by Mario, this was my game of choice. It had an open world in which to explore and random encounters were a new thing I had never seen before, the game only had 10 spells throughout but each one had a specific purpose and it felt so great to add a new one to the list. Decking out my little warrior I sought out the Dragonlord and was going to get him eventually, it was at least a year of gaming before he finally fell before me, but what an acomplishment it was! Its number one on so many lists for a reason, it was and still holds up as one of the greatest platformers of all time. It had everything, hidden worlds and secrets galore, Mario and Luigi in a very ituitive two player mode, and of course it had the best marketing campaign of the day. My buddies birthday was in October and I recall watching him and his older brother play for hours one evening and without even touching a controller I deemed it my favorite game of all time. Then The Wizard came out in theaters, I still find this movie very entertaining and it is a guilty pleasure of mine. The film revealed where to find the first warp whistle and that there was hope for us video game nerds to be accepted in society, actually it set us back a decade but I digress. 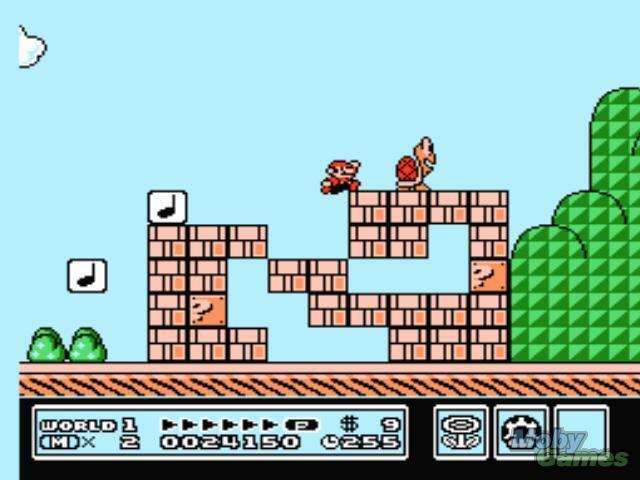 The game was an absolute blast and was played in my NES for years after its release, in my opinion its 8 bit perfection! This is honestly one of the best “best of” lists for the NES I have seen. All too many people make these lists and either list some off the chart odd ball game or list the most well known games that any joker knows about. When I was re-building my collection I actually got Dragon Warrior but it got lost in a move. That still hurts since I logged so many hours on that game. I agree, all to many times a game ends up on the list like Spy vs Spy or shadowgate, good games, but these 5 on my list all had major impacts on gaming and on me.